Outdoors and camping techniques to help guide you with your outdoors lifestyle. So many discussions surround the processing of game. Many people swear by aging meat for 7 – 10 days while others tell you that you have to get the meat to the freezer ASAP. Which one is right? What else should I know about processing my game? I ran across this great article about processing game from the Rocky Mountain Elk Foundation. It talks about aging times and the process needed to make sure your meat is taken care of properly. Some of the points you should remember are that all aging should be done under refrigeration. This means that anyone not living in a place where the daily temperatures stay below 40 degrees should look at getting themselves a game refrigerator. The same one I use as my kegerator is the same one I use to age my meat. I have a shelf above my kegs that I store my game on, then cut, clean and wrap it when the time is right. In checking my local Craigslist I am looking at about 30 that all cost less than $100 and would work fine out in a shed or garage for this purpose. Also, keep in mind that the meat will dry out if you are not careful. I like to put the quarters on a metal rack and big cookie sheet to allow for blood drainage and then cover the whole thing in a large garbage bag. This allows me the ability to “hang” it while keeping it 100 covered and moist so as not to lose meat to drying out. The only processing I do before I start aging consists of skinning, quartering, and cutting out any bloodshot areas. When I actually process my game, I run it under water and squeeze out any additional blood that might be in the meat. This might take away the “flavor” some people like, but I prefer a less “gamey” flavor, as does my wife who won’t eat it if it takes “funny.” It also give me the opportunity to ensure that the meat is actually 100% clean as well. Although any number of people you talk to will result that that many different ways to do something, I suggest you keep your game as clean as possible before wrapping. It lasts longer in the freezer without adopting crazy flavors or odors. In conclusion, I suggest you at least read the article and check out the aging information. You might find a few things that you were unaware of that help to make your next harvest all the more tasty. 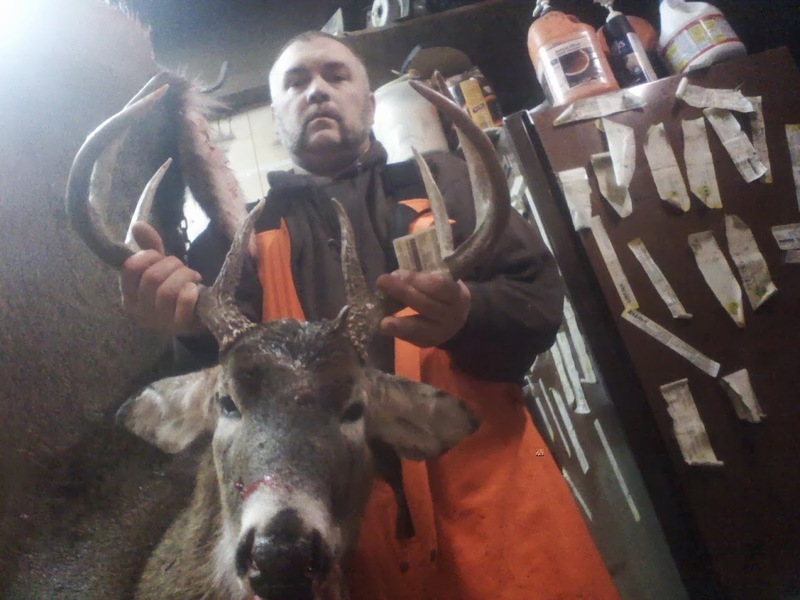 This entry was posted in Camp Techniques, DIY Projects and tagged aging meat, game processing, hunting on October 28, 2016 by Woodsbum. This entry was posted in Camp Techniques, Miscellaneous and tagged natural remedies, poison ivy, poison ivy treatment on September 30, 2016 by Woodsbum. I love Indian Fry Bread. I really love it. What I have found is that there are several different options when making it. The more traditional way is to make it with bannock dough as opposed to a yeast based bread dough. This way makes it have a better flavor and less greasy. For those of you who do not know what fry bread is, here is a picture of some I made a few days ago. The real difference between making bannock dough or bread dough is in the use of yeast. Bread dough uses yeast where bannock uses baking powder. The bread dough also tends to “puff” up or leave really big air pockets when frying. Although this is really nice when slathering your fry bread with honey or jam, it makes it really hard to use in other applications. For instance, I like to either turn them into tacos or make them into little pizzas. If you have a big ball of fried bread dough instead of something flat, your toppings will end up more on your plate than on your fry bread. Although I have published bannock recipes here before, I would like to put this one out here. Most of my bannock dough is made by the eyeball method for cooking over open flame so this will give you some very specific measurements for once. Mix everything until it becomes like a bread dough and not like biscuit dough where it is all sticky. Sometimes you have to kneed it/mix it for a while to get to that point. After you mix it all together just put a wet towel, plastic wrap, etc., over the bowl and refrigerate it for about an hour. When the hour is up just divide it into 8 equal portions, roll it out flat, and then fry it in oil (around 350 degrees until golden brown). This amount of dough will make about 8 round pieces of flat bread that end up around the size of a saucer or a little bigger. Again, the nice thing about using this recipe is that you don’t end up with a big, fried bread ball that holds a lot of the oil. If you do tacos or pizzas, the size above is about right. If you just want to do honey or jam, I usually divide this recipe into 16 portions just so you don’t have stuff dripping off one side while you gnaw on the other. One variation to the recipe includes cinnamon and sugar in the dough to be eaten as a dessert. Basically, you can get as creative as you want with this. 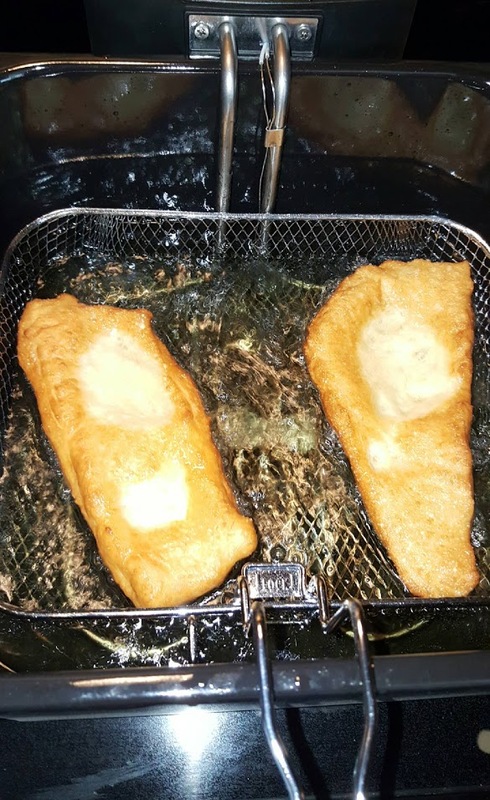 This entry was posted in Camp Techniques, Miscellaneous and tagged bannock, fry bread on September 19, 2016 by Woodsbum. Ringing a tree is a great way to kill a tree that can be used later on as firewood. It will dry and cure in a standing position rather than getting all wet from sitting on the ground. Some species of tree will also drain a huge amount of pitch into its stump/root system so you will have a supply of fatwood as well. Here is a video where a guy goes through the whole process. This entry was posted in Camp Techniques, Emergency Preps on July 7, 2016 by Woodsbum.